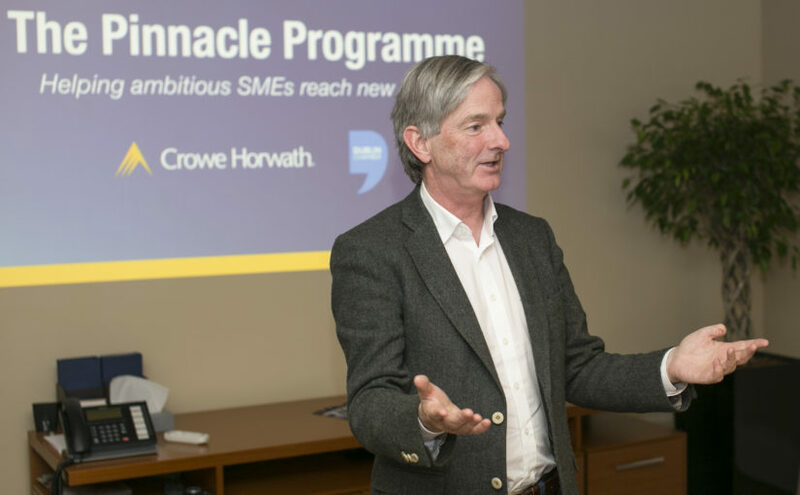 Brody Sweeney, founder of Camile Thai Kitchen Group, a growing chain of online delivery restaurants in Ireland and the UK, was guest speaker at the third session of Crowe’s Pinnacle Programme. With over 30 years’ experience as an entrepreneur and business owner, he shared his invaluable insights into his approach to scaling SME businesses and the lessons he has learnt along the way. Crowe partner Gerry O’Reilly also outlined the four key areas he helps SMEs focus on which are vital ingredients to scaling their business. Download a summary of Brody’s presentation below and contact Gerry O’Reilly if you would like to find out more about how to scale your business while maximising value. This was the third session in our autumn series, run in conjunction with Dublin Chamber. The Pinnacle Programme is open to SME owners who are members of the Chamber. Download our full schedule.